London, May 1537: When Joanna Stafford, a young novice, learns her cousin is about to be burned at the stake for rebelling against Henry VIII, she makes a decision that will change not only her life but quite possibly, the fate of a nation. Joanna breaks the sacred rule of enclosure and runs away from Dartford Priory. 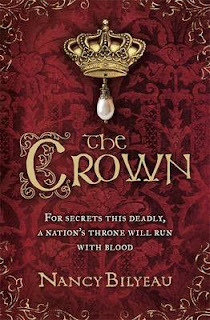 But when Joanna and her father are arrested and sent to the Tower of London, she finds herself a pawn in a deadly power struggle. Those closest to the throne are locked in a fierce fight against those desperate to save England's monasteries from destruction Charged with a mission to find a hidden relic believed to possess a mystical power that has slain three Englishmen of royal blood in the last 300 years, Joanna and a troubled young friar, Brother Edmund, must seek answers across England. Once she learns the true secret of her quest, one that traces all the way back to Golgotha and the Relics of the Passion, Joanna must finally determine who to trust and how far she is willing to go to protect her life, her family and everything she holds dear. Having recently read a thriller that great disappointed, I was more than satisfied when I picked up a Historical Fiction title that not only brought together the elements of the historical beautifully but also wove a mystery within that kept me glued from start to finish. The principle character was elegantly created with a personality that the reader can’t help but associate as well as route for, the setting was wonderfully descriptive and when filled with a cracking supporting cast it can’t help but enchant. Add to this some decent twists, an author who has a wonderful idea for pace alongside outline and the reader is in for a real treat as the pages fly by. All in, this was a cracking read and one that means that I’ve noted Nancy’s name down for future reading. Great stuff. 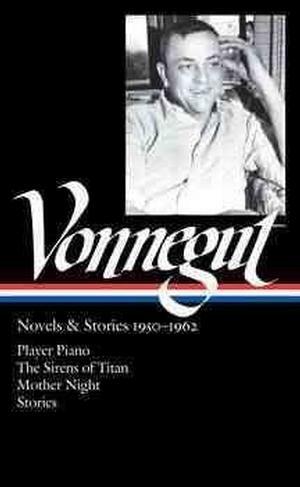 Before winning international fame with Cat's Cradle and Slaughterhouse-Five, Kurt Vonnegut was a master of the drugstore paperback and the popular short story. This authoritative collection of his brilliant early work opens with Player Piano (1952), a Metropolis-like parable of breakneck technological innovation and its effect on those it robs of their livelihoods. The Sirens of Titan (1959), the interplanetary adventures of the world's wealthiest and most despised man, is both a pulp-fiction space opera and a satire on the vanity of human striving. The confessions of a German-American double agent well placed among the Nazi elite, Mother Night (1962) is a cautionary tale with a famous moral: “We are what we pretend to be, so we must be careful about what we pretend to be.” Here too are six of Vonnegut's best short stories, gems that display his matchless talent for hilarious invention and caustic social criticism. A selection of short stories by the Science Fiction Master which not only prove why he became one of the names but also bound in a hardback which will allow you to dip into time and again. Add to this real value for money, wonderful stories that will enchant, excite and take you on a journey which when blended with a solid use of descriptive text as well as some great characters, prove why he became a name. Great stuff. A man of faith. A nation of fear. A world of secrets. 1564: Catholic herald William Harley, Clarenceux King of Arms, is the custodian of a highly dangerous document. When it is stolen, Clarenceux immediately suspects a group of Catholic sympathisers, the self-styled Knights of the Round Table. Francis Walsingham, the ruthless protege of the queen's Principal Secretary, Sir William Cecil, intercepts a coded message from the Knights to a Countess known to have Catholic leanings. He is convinced that Clarenceux is trying to use the document to advance the cause of the Catholic Queen. And soon Clarenceux enters a nightmare of suspicion, deception and conspiracy. Conflict and fear, compounded by the religious doubts of the time, conceal a persistent mystery. Where has the document gone? Who has it and who really took it? And why? The roots of betrayal are deep and shocking: and Clarenceux's journey towards the truth entails not just the discovery of clues and signs, but also the discovery of himself. 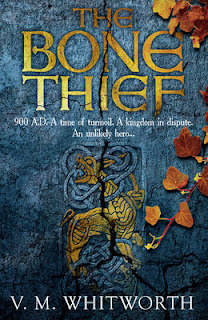 If you like a title that’s has elements of historical fiction and backed up with a fantastical ride to discover a truth then this title could well be for you. Whilst it’s not historically accurate, the reader is treated to a story that has been edited to make it work for the author and generates such a thrilling ride that you’re more than happy to suspend the facts as the pages fly by. Its creative, the characters just leap of the page larger than life (in particular Carew) and with a ruthless spymaster in the mix, it’s a tale that will weave its magic wonderfully into your imagination. Back that up with an author who know’s this time period backwards so that the full flavour hits you and all in it’s a great read. The unexpected suicide of an apparently happy family man; a woman held captive for three years in a forgotten underground bunker; a middle aged clergyman at a crisis point in his life, drawn into an uncomfortable relationship with a teenaged girl. Against the backcloth of these interwoven tales comes the story of two very different men who meet accidentally and are dramatically thrown together. Piet Steyn and Granville St Clair happen both to be out walking at dawn on a country lane when they unintentionally become joint witnesses of a domestic tragedy. There is one aspect of what they see that morning which they feel compelled to keep secret - a decision that will later have appalling repercussions for them both. As the layers of their private lives begin to peel away, they find themselves unwillingly bound together in a conspiracy with deadly consequences. The Good Wife's Castle is a tense thriller that explores a clash of human evil and goodness, of despair, murderous obsession and twisted spirituality, all of which co-exist beneath the veneer of seemingly respectable people in a quiet rural community. OK, do you love a book that takes a situation and explores what if? 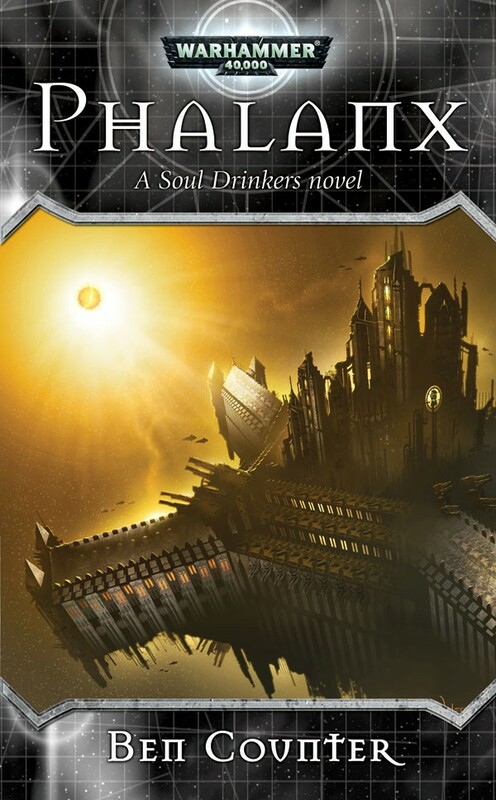 A book that feels like its set in a normal area with a solid community? Where everyone knows each other’s business? Well Roland Vernon does that and blends into that infamous author question of “What If?” merges a suicide into the mix and a mistress, sits back and waits to see what occurs. What unfurls within is a story of deceit, lies and of course the story of the characters’ lives falling down around their ears. It’s cleverly written and when backgrounds are added, makes this a hard to put down title as it builds to its crescendo. Add to this a solid understanding of pace, a realistically built cast and of course an author who knows how to guide the reader throughout their writing. Great stuff. Mazes, riddles, witchcraft ...and centuries-old secrets An Oxford classics scholar has discovered an ancient scroll. A band of black-magic worshippers has gathered in London. A map to three labyrinths hidden within Europe has been unfolded. 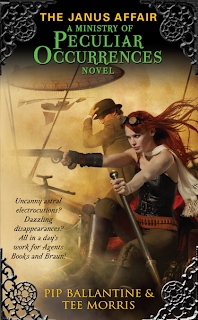 And an ancient mystery is calling ...Pursued by spies and secret agents, guarding the map from unseen enemies, August Winthrop plunges headlong into a Europe ravaged by war. 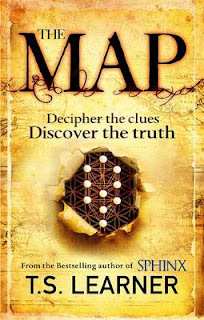 But the map will lead him farther than he ever dreamed - into a series of labyrinths with the power to change the world. From the Top 10 bestselling author of Sphinx comes the most dazzling novel of the year - a sophisticated, relentlessly exciting story in the tradition of Dan Brown, Robert Harris and Kate Mosse. To be honest I was really looking forward to this book as I love a thriller mystery that takes you on a journey as well as giving you a huge pay off in a search for an item. Usually this is formulaic and follows similar ground to the Da Vinci Code but this one seemed to promise so much more in a well written blurb. Sadly for me, this turned out to the same sort of thing as the Video’s back in the 80’s where the blurb was so much better than the book. The characters were clichéd, the plot convoluted and to be blunt here, there seemed to be so much packed in that a great number of threads escaped almost as if they were dumped or just there to increase the page count. Back that up with a confusing writing style and an ending that was left to the last few pages and all in it’s a disappointing read for me. A great shame as there was so much more that it could have been and I suspect that tighter editing and additional proof reading may have benefitted from editing out a great many of the problems. Historical Fiction has a different flavour depending upon the time period. Here in this title we take a trip back to the 10th Century as the reader embarks on a young monk’s quest to obtain St Oswald’s Bones for the consecration of a church as he proves that smarts and adaptation are the way to go over brawn. It’s a new type of tale and for me it was wonderfully executed with the lead character being not only personable but one that you want to succeed. Add to this solid prose, moments of high danger alongside a myriad of outstanding supporting characters and all in it’s a tale that will appeal to a great many readers. Finally add to the mix solid prose, great pace and an author who has pulled out all the stops and this could well be the start of a cracking new series. Sought after for generations. Venerated by the great and the good. Hidden from all mankind. Alexander was one of the greatest leaders of all time. After he died, his tomb was the most renowned and respected shrine in the Roman Empire, the object of veneration by great emperors and leaders the world over. It stood at the heart of the grandest city on earth. And then it disappeared. Centuries later, on a dig in Crete, curator and archaeologist Tom Carr is convinced that he's discovered a vital clue. At his side is a beautiful young artist, Victoria Price. Together, they are prepared to risk everything to find the tomb, and solve one of the most enduring mysteries of our time. 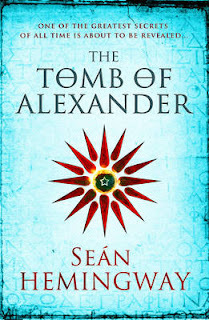 I love a thriller that takes me on a journey and rather than embarking on a religious search, Sean takes the reader seeking the Tomb of Alexander the Great. What Sean does well is set the sequence and talks a good game, however the delivery fell a little flat for me as a reader as it was a very slow burn to begin with, feeling a little disjointed and when you throw into the mix an ending that was rushed to within a few pages, it was sadly a book that failed to deliver for me as a reader. All in, the potential was there and the idea for me was a good one. Sadly, in my opinion, the pace was lacking and the characters were a little flat which when added to the disappointment I felt at concluding the tale had me wondering if it would have been better had it had a little longer to develop. England 1642: a nation divided. England is at war with itself. King Charles and Parliament each gather soldiers to their banners. 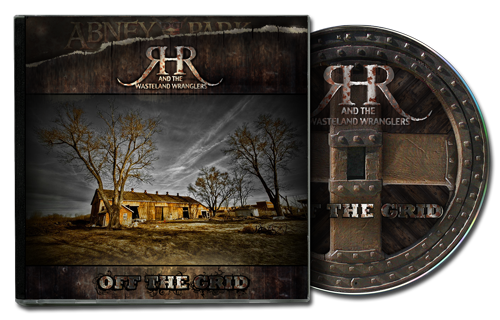 Across the land men prepare to fight for their religious and political ideals. Civil war has begun. A family ripped asunder. The Rivers are landed gentry, and tradition dictates that their allegiance is to the King. 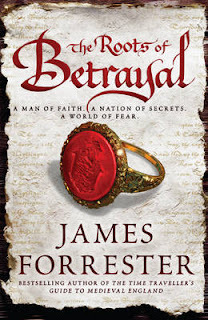 Sir Francis' loyalty to the crown and his desire to protect his family will test them all. 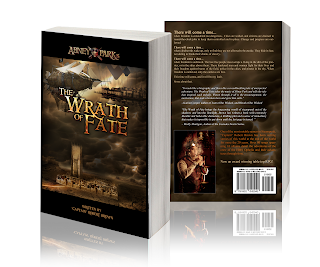 As the men march to war, so the women are left to defend their home against a ruthless enemy. Just as Edmund, the eldest of Sir Francis' sons, will do his duty, so his brother Tom will turn his back on all he once believed in...A war that will change everything. From the raising of the King's Standard at Nottingham to the butchery and blood of Edgehill, Edmund and Tom Rivers will each learn of honour, sacrifice, hatred and betrayal as they follow their chosen paths through this most savage of wars. Having fallen for Giles’ writing charm with the Raven series, I was a little apprehensive when I learned that he was jumping forward in time to one of the most tumultuous times in English History. Don’t get me wrong but I did expect a good story but when you change weapons you have to adapt strategies, tactics and of course learn about their use and effects on the battlefield to give the story a real hint of authenticity. 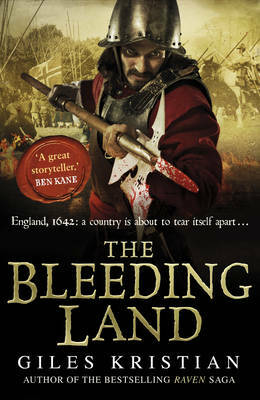 What Giles presents is a story of family, of love, vengeance and of course warfare in the English Civil War. The characters are interesting, their personalities ideal for the readers and when added to the authors no nonsense prose, top action sequences alongside a breakneck pace really makes this a book to devour. For me the only downside is the wait for the next title. Great stuff. On the eve of the publication of the fourth episode in the Empire series (a series which might just grow to encompass some 25 books just as long as you, dear reader, keep wanting to read them), I thought that it might be nice to provide some clue as the context in which subsequent books in the series will be set. 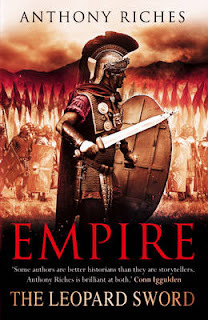 When I started researching a period in which to set my young hero and his supporting cast, the reign of the emperor Commodus and the aftermath of his assassination quickly caught my attention. Civil war, frontier campaigns and plenty of intrigue – that, I told myself, was for me. And, first and foremost, my curiosity was piqued by the year AD193.The late second century saw a sudden and catastrophic end to the extended period of stability that had been maintained since the days of Nerva, engendered by the longstanding principle that successive emperors should be chosen on merit rather than heredity. The disaster of AD193 was rooted in the decision of Marcus Aurelius, an otherwise admirable ruler given the events with which he had to cope (a smallpox pandemic and subsequent barbarian incursions as the northern tribes sought to take advantage of the weakened empire), to gift the throne to his dissolute son Commodus (think Joaquin Phoenix in Gladiator). While Roman scholars have extensively analysed A.D.69, the infamous Year of the Four Emperors which began with Nero on the throne and ended with Vespasian as supreme ruler, the upheavals of A.D.193 saw no less than five men claim the purple in a single year. After over a decade of clearly increasing instability in their emperor, who latterly took to considering himself as the modern incarnation of the god Hercules and fighting in the Flavian Amphitheatre as a gladiator (trust me, there was no greater infamy for a man in Rome), the empire’s terrified ruling class had seen enough. With the assassination of the emperor on the last day of AD192, the respected soldier and senator Publius Helvius Pertinax took the throne. Intending a return to the greater tolerance and stability Rome had enjoyed under the five adoptive emperors who had reigned for most of the 2nd century, men chosen for their abilities rather than by bloodline, he bravely decided not to pay the Praetorian Guard the substantial donative – or bribe – they expected as the price of their complicity. Despite eventually selling off Commodus’s properties and assets - including his concubines – to meet their demands, his standing with the Guard was fatally undermined. After evading one assassination attempt he was put to the sword by a gang of Praetorians in March. At this point the question of who would rule the empire descended into farce, as the Guard literally auctioned off the throne. Didius Julianus was the winner, paying 25,000 sesterces (eighty years pay for a legionary) for every man in the Praetorian Camp. Lauded by the senate – who had little choice in the matter – he became emperor, but was roundly abused and even pelted with stones when he appeared in public. At the same time the armies of Britannia, Syria and Pannonia (modern day Hungary) each promptly declared their generals, Albinus, Niger and the North African Septimius Severus, to be Emperor. Removing the Britannia legions as a threat by cannily – and insincerely - declaring Albinus ‘Caesar’ and thus persuading him not to act, Severus used Pannonia’s proximity to Rome to steal a march on his rivals and claim the throne. Having convinced the outnumbered Praetorians to surrender, promising that they would face no punishment, Julianus’s murder by a soldier gave the new emperor sufficient pretext to dismiss them in ignominy, and replace them with his own soldiers. Tumultuous even by comparison with the bloodiest of Rome’s history , AD193 left the empire’s military might divided between the three generals and left Severus in a precarious position of power, in possession of the capital and the throne, but threatened from the east by Niger and the west by Albinus, former colleagues in the Dacian wars of the 180s. Holding Albinus’s powerful British army at arm’s length with continuing promises of shared power, he sent his generals after Niger. With his forces at first pinned down and then defeated, Niger himself suffered a prompt execution upon his capture close to Antioch. With the risk posed by the eastern legions removed from the board Severus was free to focus on his only remaining rival, influencing the senate to declare his fellow African and former ally Clodius Albinus, governor of Britannia, an enemy of the state. Goaded by this declaration of war (and a narrowly failed assassination attempt by a messenger from Serverus), or possibly having waited for the power struggle to play out in the hope of confronting a single weakened rival, Albinus took an estimated 40,000 men - pretty much every legionary and auxiliary soldier in Britannia - and marched south with the aim of capturing Rome. Denied passage across the Alps, he pitched his British and Spanish legions against Serverus’s Dacian and German forces at Lugdunum, modern day Lyons. The engagement that resulted was a titanic affair fought over two days, a rarity in an age when a few hours was usually enough to bring about either an outcome or an exhausted stalemate. At the battle’s climax, with Albinus’s legions apparently victorious and already chanting their victory hymn, Serverus’s superior cavalry took the day. By this hair’s breadth victory the Severan dynasty’s future was assured, and a fresh, if not ultimately fruitful chapter in the empire’s history opened. Lugdunum, for all that the battle took place in Gaul, was nevertheless a watershed in the province’s history, since Britannia had never before exerted such a pivotal influence in imperial affairs. There was, however, a disastrously high price to be paid for this moment of illusory glory. Not until Serverus’s brutal campaign of subjugation a decade later would the northern British tribes be properly subdued again, and their depredations would have served as a powerful object lesson in the importance of choosing carefully when taking sides in war. 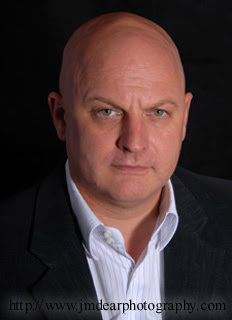 I’ve enjoyed Anthony’s books since he burst onto the seen a few years ago, they had a great combination of action, a familiar setting for me and added a cracking lead character who demonstrated both tenderness, naivety and the ability to fight when it came to it. Add to this sharp prose, a great sense of pace which when backed with a writing style that’s very easy to get into, you can’t help but sit back and enjoy the adventure. Here in the latest title there’s more of the same with a villain that’s the same level as Corvus, has a solid combat style which when accompanied with an almost mythical blade makes for a real challenge for our Centurion hero, almost as if he were a flip side of the same coin. Add to this the Tungarians’ marching back to their homelands to help take some of the heat from our hero with a graphic change of scenery and fighting style and all in this book was a pure joy from start to finish. I really can’t wait to see what Anthony comes up with next. Jason Starr is a new author on my radar although I know that he’s written other books, something about the blurb for this one just grabbed me. Within this book is a story of self-discovery as the titles lead character Simon, learns to deal with the hardships that life throws at him when he loses his job. Its quirky, its amusing and what the author does really well for me, is bring the lead character to life in a personable way that made me want to spend time with him. Add to this solid character interaction between the cast, some wonderful dialogue and personal relationship troubles that readers can relate to thrown in with a dash of the fantastical. All in a solid read and when you add good pace and decent prose into the mix, makes this a book that was a pure joy to read. Great stuff. 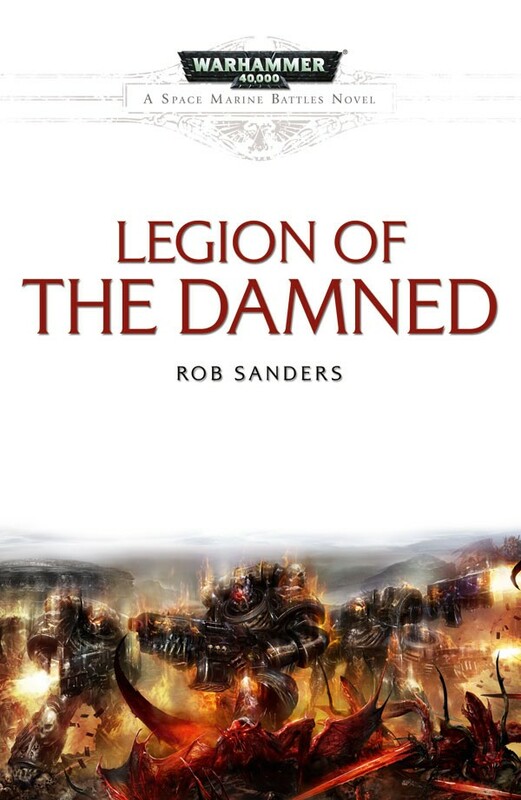 I love a tale of dissension, hostility and of course combat, yet when the first two are present within a Space Marine unit then its going to make for some interesting storytelling as the Excoriators take the lead in this, the new Space Marine Battle title. In addition to inner turmoil, add solid combat, some wonderful twists and of course heavy hand to hand fighting and it’s a title that will keep many a reader happy, however with the loss of focus part way the pace does tend to slack off until the final sequence. Finally add to this an author who has a good understanding of prose alongside dialogue and all in, it’s a solid release and whilst not my favourite story in the series, the inner conflict really wins it some brownie points. 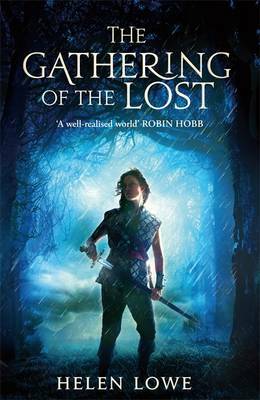 Having enjoyed Helen’s debut last year I was interested to see how the story would expand in the second novel as well as seeing if the quality and world building would continue to expand. What unfurled within was a story that was not only haunting but one that allowed the character to grow into the role that she’s discovering she’s destined for. Add to this solid writing, a fluid descriptive style which is almost cinematic and all in it’s a title that really announces the author to the fantasy world as more than a one shot wonder. Finally throw into this a cracking plot outline and enough twists to keep the reader confused and it’ll make you demand the third part after the last page is turned. 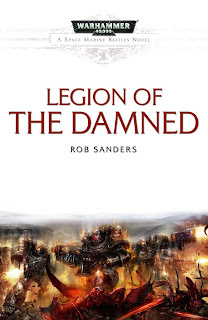 One of the Black Library’s most underated authors in my opinion is Ben Counter and whilst perhaps he’s not out there as much as Abnett or McNeill, his writing is solid, with cracking use of pace and top notch characterisation. In this title he presents more of the same with solid combat sequences, a twist or two and when backed with a lead character that really keeps you glued makes this a story that was hard to put down. All in for me, Ben is an author who likes to give the reader what they want and when you add the passion that is obvious beneath the writing for what he does, it carries it off without any real hitches. Great stuff. Our friends at Capcom have let us have an update about Steel Battalion: Heavy Armour. "Steel Battalion Heavy Armor today shows what it has in store for those who pre-order the game before its launch on June 19 in North America and June 22 across European territories. With a choice of three different pre-order packs, players will receive additional armory to customise their VTs (Vertical Tanks), boosting their defensive power, offensive force, speed in combat and much more." 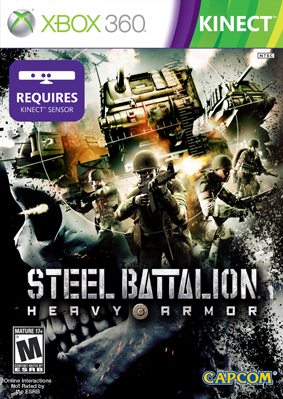 Taking full advantage of Kinect for Xbox 360, Steel Battalion Heavy Armor™ is an Xbox 360 exclusive first person action game set to deliver a uniquely immersive experience and an evolution in warfare gaming. Set in 2082, Steel Battalion Heavy Armor depicts a world devoid of semiconductors, where war is waged with rudimentary weapons as new superpowers struggle for dominance. In a twist of fate, the U.S. army has been forced to begin major landing operations on what was once its own soil. In this low-tech era, there is one weapon class that will determine the course of the war – the Vertical Tank (VT). Playing as pilot Lt. Powers players control one such VT as he embarks on a mission that will see the action shift from North America to battlefi elds and war-torn streets across the globe.Steel Battalion Heavy Armor delivers an unprecedented level of control and interaction. 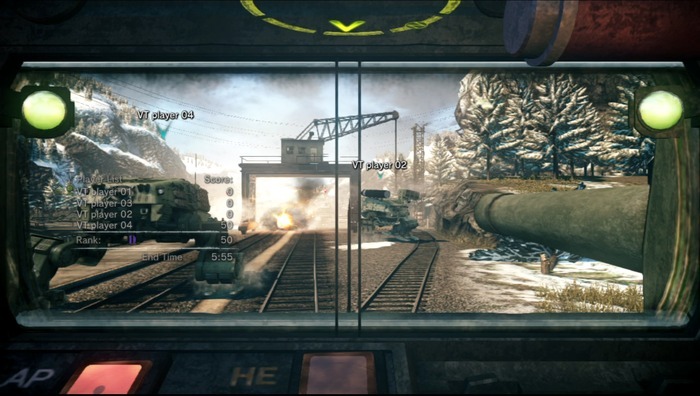 VT movement,aiming and firing of the main guns are undertaken using the Xbox 360 controller. A wide variety of other combat-crucial actions are done through Kinect for Xbox 360 with upper body gestures - from starting the engine to operating the scope or manning the turret-mounted machine gun. Kinect for Xbox 360 also provides a means of interacting with your fellow crew members, from ensuring a panicked crew member stays focused, to a high five for successfully completing a mission. 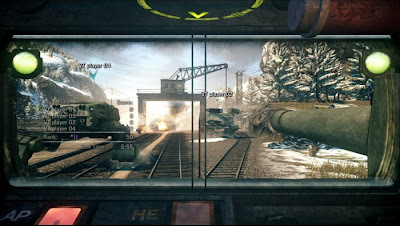 Steel Battalion Heavy Armor is scheduled to release exclusively on Kinect for Xbox 360 in 2012." 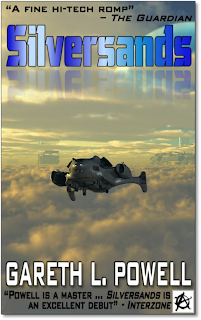 In an age where interstellar travel is dangerous and unpredictable, and no-one knows exactly where they ll end up, Avril Bradley is a Communications officer onboard a ship sent to re-contact as many of these lost souls as possible. 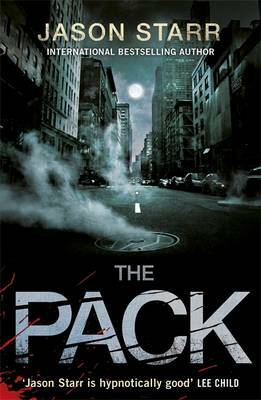 But a mysterious explosion strands her in a world of political intrigue, espionage and subterfuge; a world of retired cops, digital ghosts and corporate assassins who fight for possession of computer data that had lain undisturbed for almost a century. . . 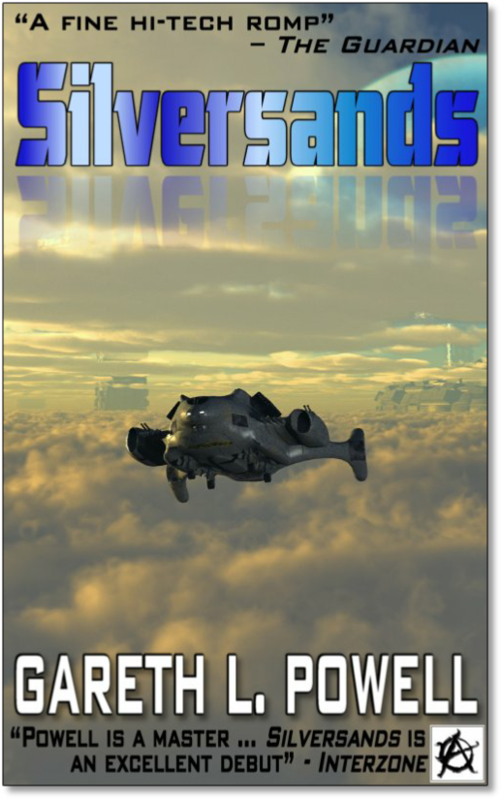 Originally released by Pendragon Press, this short story was a book that grabbed the reader from page one as it didn’t waste time on distracting the reader taking them to the heart of the matter as our heroine Avril seeks out lost human civilisations as well as searching for one man in particular Cale. It’s quirky, it brings together two sides of the same coin in the characters and when you throw politics, alien technology and of course drama from the people involved, its almost a case study in writing the bones whilst allowing the reader to add the flesh. Finally add to this solid dialogue, great pace and back it all up in a tightly written story and this 160 page book is one that can easily be enjoyed in a short time. Return to the world of the Liveships Traders and journey along the Rain Wild River in the third instalment of high adventure from the author of the internationally acclaimed Farseer trilogy. Kelsingra awaits for those brave enough to enter! The dragons and their keepers have discovered Kelsingra but so far only Heeby has succeeded in flying over the river to enter the fabled city. The other dragons, with their deformed wings and feeble muscles, are afraid to risk failure and humiliation. But wondrous things await in Kelsingra, a city built for dragons and their Elderling keepers. Alise, overwhelmed by the treasures she finds there, records her finds for posterity. Once the rest of the world knows about the riches the city contains, nothing will ever be the same again. Already, rumours of the city's discovery have floated down the Rain Wild River and reached envious ears in Bingtown and beyond. Adventurers, pirates and fortune hunters are coming in droves to pillage what they can from the city. As is Hest Finbok, Alise's husband! Meanwhile, Selden Vestrit finds himself a prisoner of the ailing Duke of Chalced, who believes him to be some sort of dragon-man whose flesh and blood may work miracle cures. Where is Tintaglia, the great sapphire-blue dragon, when all have such need of her? Has she really abandoned her beloved Selden and the fledgling dragons forever? Or will she too return to seek the wonders of Kelsingra? Whilst in the past I have enjoyed Robin Hobb books, the more recent ones have left me feeling more Meh, than compelled to keep going as, for me, they feel more like writing by numbers than with passion. Don’t get me wrong, there will be people that love this series but when it feels like more of the same with very little resolved in one form or another and all in as a reader you’ll end up wondering it was left feeling incomplete. Add to this predictable patterns which when backed with simplistic twists and a predictable pattern and for me I’ll be sticking with her earlier books which are still favourites of mine. All in a great shame and whilst the prose are sharp it just feels like there is a lot of repetition with no resolution in not only the arcs but the characters. 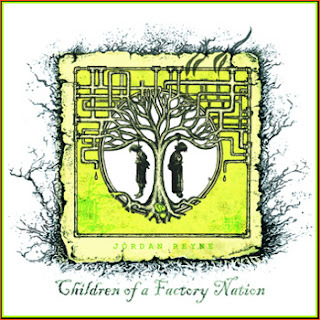 Jordan is one of those artists that had it not been for friends I wouldn’t have heard which to be blunt is a great shame. The album follows the evolution of New Zealand and the journey of a family through the exploration of music and time. The first track Johnny Come Home, is not only invocative of the album but one to set the pace as well as themes within that really make this a wonderful piece to own. 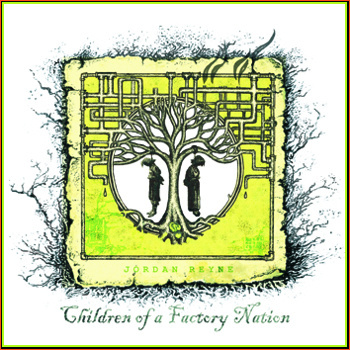 Add to this a whole host of tracks that bring Jordan’s deep and haunting voice alongside her lyrics to the listener and some wonderful combinations of vocal alongside instrumental magic (such as the pure vocal track A Woman Scorned) which will leave the listener wondering why they haven’t heard her before. Sadly in the UK the demise of Classic FM and O Music probably means that she won’t get much airplay but trust me, its well worth the time to search out this remarkable musician. There are times when you’re reading that you just want to have some background music, and times when you’re writing and want something a little different to not only inspire you but to get you in to the right place and time zone to create that special piece. 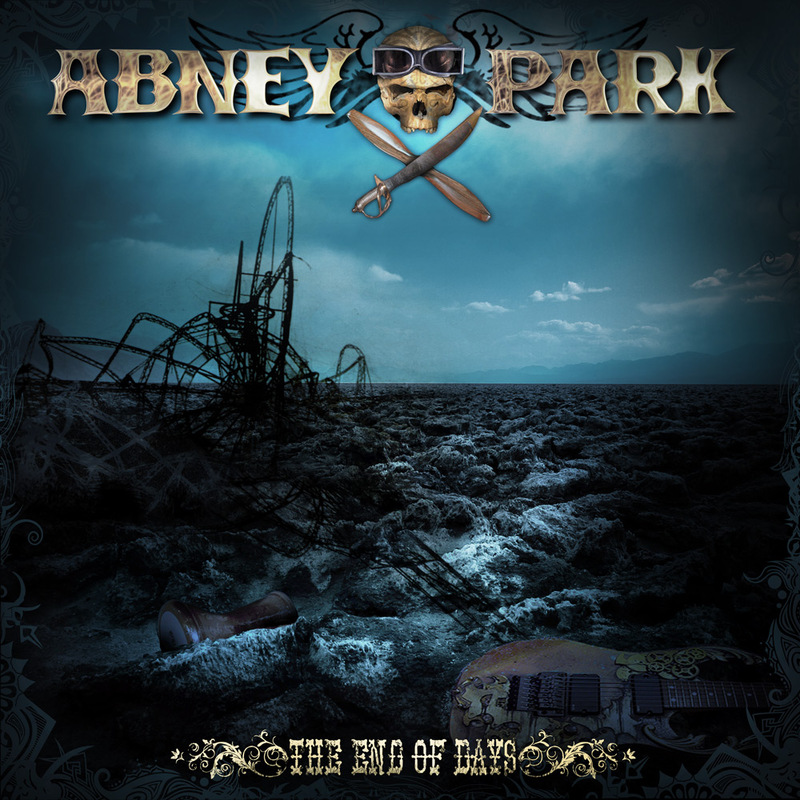 What makes this album from Abney Park so much fun is the raw as well as wonderfully themed pieces within that bring the world of Steampunk to life through the use of unusual sounds, cleverly worded lyrics and of course a band dressed to the extreme in their character costumes. Its quirky, its fun and its definitely an album that I’ll be listening to for quite a few times. Add to this crew, the deep vocals of “Captain” Robert and all in the pieces fit the gateway of imagination down to a Tee. (If unsure check out this track End of Days.) Finally throw into the equation a book, a roleplay game and of course a rich world to explore and I suspect that pretty soon, you’ll be firm fans of this unusual group. 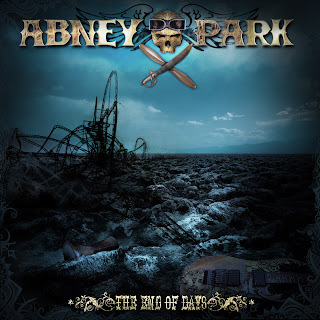 The second Abney Park Album that I listened to and whilst interesting it didn’t have quite the same feel as End of Days as it didn’t have a lot of the same effects and felt more like an organic selection of tracks with influences in various genres including Ska. Whilst this isn’t necessarily a bad thing, you can hear the groups development throughout the two albums as they find not only their own stride but their niche. Don’t get me wrong, the music is clean, its refreshing and when you add the groups dynamics as well as sound it’s there in the earlier stages but for me, this album will always come second to End of Days. It is fun, it does carry the listener away into a dystopian society but all in, for me, End of Days is vastly superior. When freedom is considered too dangerous. Cities are walled, and citizens are chained to round-the-clock jobs to keep them controlled. Change and progress are outlawed. When clockworks wake up, only to find they are not allowed to be awake. They hide in fear, not daring to break their chains of slavery. When freedom is outlawed. The last free people must scrape a living in the dirt of the prairies, or in the skies above them. These hardened men and women fight for their lives and their freedom against beasts of the plains, police in the cities, and pirates in the sky. When freedom is outlawed, only the outlaws are free. 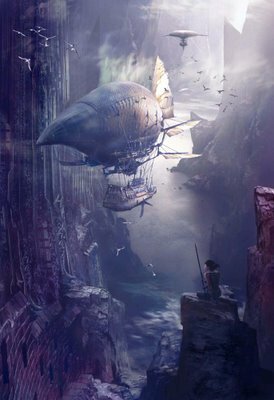 I’ve read a lot of Steampunk and recently I’ve been listening to a lot of music within the genre, so it’ll probably come as no surprise that I embarked on a journey with Captain Robert and his crew of the Ophelia firstly by soundtrack but then by text as I picked up and started to read this amalgamation of Time Travel and Steam. 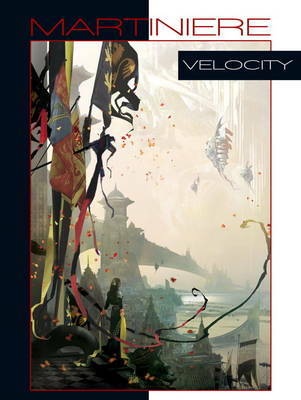 It’s a title that is written in the first person, takes the reader on a journey and of course brings all the elements together with danger alongside adventure as the crew embark on a mission that has a feeling of déjà vu, ambition and of course a goal that regardless of the seemingly impossibility, is still worth the effort to attempt. Add to this quirky tale a whole host of supporting cast that fit the bilges with something for everyone alongside good dialogue and a real turn of pace and all in the readers in for a treat. Great stuff but don’t forget to try out their music first and if you’re really inspired you can play the roleplay game. 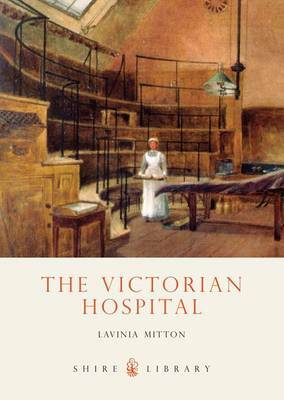 Lavinia Mitton follows the changes in hospital treatment that took place during the Victorian era and explores the different types of hospitals that were available, from the celebrated specialist institutions served by famous surgeons to the appalling workhouse infirmaries where the patients were looked after by untrained pauper nurses. Illustrated with black and white drawings and photographs of the buildings, beds, waiting rooms and even ambulances that served the Victorian people, this book is a fascinating insight into the growth of hospitals and medical education, and the advances in surgery and nursing that closed the gap between the 1830s hospital and the establishments that we are familiar with today. Research is often the type of thing that the more you get into a subject the more fascinating the facts and information that you find and whilst a lot of writers haven’t yet thought to tap into these wonderfully detailed books from Shire, I’ve found that it’s a great way to have a whole host of information at your fingertips and of course having them presented in such a way that it can be remembered as well as utilised as a throwaway comment, add greater depth to either your historical fiction title or perhaps even that special Steampunk book you’re working on. This one deals with the Victorian Hospital and its more than a little surprising to see how far we’ve come in just over a hundred years. For example hospitals were filthy places with many patients entering with one problem only to die from an illness that they didn’t have prior to entry. In addition to this, hospitals were abused by the rich as a way to get free treatment much the detriment to the poor with nurses considered to be the lowest of the low mainly made up of the poor who could neither get employment as anything different. Obviously this changed in the 1860’s when Florence Nightingale opened her school for nursing which changed not only the opinions of the people but also encouraged the middle classes into the profession which in turn, helped bring the standards of the hospitals up in not only the care of the patients but in cleanliness. All in this book was not only fascinating but one to which I was glued and whether your interest is in the state of the operating theatre (the dirtiest room in the hospital) or the changes in the uniform from the modified scullery maid then this book from the Shire collection is an absolute must read. Great stuff. From gaslit city streets to dark wooded estates, crime was rife in Victorian Britain; through a wide array of historical court records, newspaper accounts and prison books, The Victorian Criminal gives a fascinating overview of those involved in it. Within these pages may be found accounts of petty criminals and poachers, baby farmers and notorious murderers, along with stories of the development of detective forces and forensic techniques. Countless novels, plays and films are testament to an enduring fascination with the dark aspects of the time and place that gave us Sherlock Holmes, Wilkie Collins and the great works of Charles Dickens. 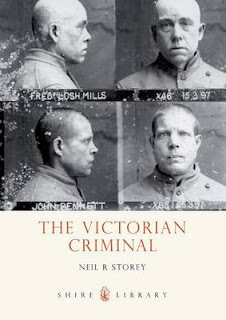 As a fan of these wonderful factual books, I was really looking forward to seeing what the Victorian Criminal got up, what was within this title was not only interesting but fascinating as there were children included. Add to this great stories to help back up the points alongside illustrations, photographs and mention of things like phrenology as well as methods used for catching criminals as well as some of the more well known cases. All in this is a fascinating piece of research and if anyone is looking at writing a book set in this period, there’s so much that can be picked up to use as a throw away comment if needed. Cracking all in and a wonderful addition to any persons reading pile. Great stuff. 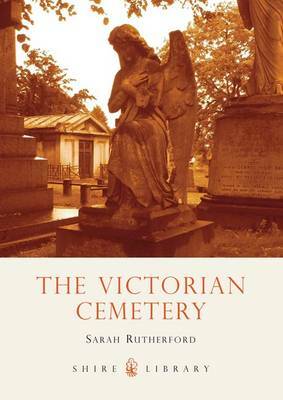 The Victorians were, were relatively at ease with death and there is much in this book to interest social historians, those interested in historical costume and transport enthusiasts, as there is a section on the development of the horse-drawn hearse. Whilst many tend to think of an Undertaker as a stalwart member of society, this book was not only interesting but one that lead me to see how easy it would have been for some to take advantage of the consumer. With prices for everything including “mutes” (paid people to walk behind the coffin), alongside new gloves and hat bands for the directors, it feels like the way that a person departed was more important than how they lived. 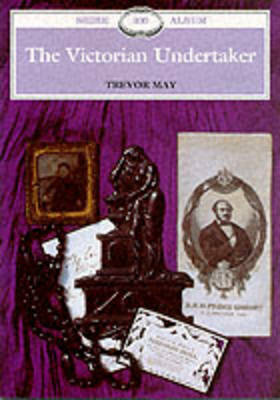 The book was wonderfully descriptive, accompanied by great diagrams/photographs and when read all in, gave the reader a real picture into the times that sadly would have been lost had Trevor not conducted the research. All in a cracking read and one that research wise is a great way to get into the time period. Planned with the same passion as a landscape garden, filled with monuments that represented the start of the art of craftsmanship in stone, and equipped with expensively constructed and fashionably designed gatehouses and chapels of rest, the Victorian cemetery was a matter of real civic pride. It was also the ultimate expression of the 'cult of the dead' that gripped every Victorian. This beautifully illustrated study of the Victorian cemetery tells the fascinating story of this historical and architectural phenomenon, which provided Britain's towns and cities with some of their most extraordinary, and charming, reminders of the sensibilities of an age long gone. Whilst funerals are seen as a sad state of affairs in the modern world, in the Victorian time they were a time of pomp and ceremony and those that had the most money got the better send off. What this book from Shire does is take you on a tour of the memorials from that time so that the reader can see what was not only popular but some wonderful pieces of architecture left over from the time period. The book is informative, has some great information within and when backed with a title such as the Victorian Undertaker, allows the reader to get a glimpse into what feels at time a hugely profitable area. Well done. What follows is a recently discovered letter from His Grace Edgar Wildenstern, Duke of Leinster, to his son, Nathaniel, on discovering that Nate had run away to Africa. This letter predates the events recounted in the novel ‘Ancient Appetites’. Berto has informed me, with characteristic insolence, that your ‘jaunt’ to Liverpool was, in fact, a ruse to put distance between yourself and the family, giving you time to flee from your responsibilities altogether. To Africa, he tells me, to make something of yourself in the engimal trade. I am certain, at this moment, that you are enjoying the heady and immature excitement brought on by eloping along with your romantic notions. I am sending this letter after you, in the hands of an agent, in the slim hope that you might still be brought to your senses. This will be the only letter I send. Regardless of your response, there will not be another. The fact that you have engaged in this flight of fancy, rejecting any thought of a sensible career, no doubt springs from some misbegotten belief that you have some great talent or insight to share with the world that will ensure your success. You believe that you are constrained by convention, hampered by tradition, by responsibility. You believe that you are misunderstood. It pains me to think that any son of mine could be so gormless. The capture, study and display of engimals has always been a small part of our Company’s business, but one that never fails to seize the public’s imagination. Whatever illusion you may be under regarding the glamour or riches hunting these wild machines will offer, let me assure you that most who engage in this work end up destitute souls, their dreams shattered by the harsh realities of its fraught nature. This is a time of great change, and it is little wonder that an impressionable young mind such as yours should surrender to the influence of shallow and frivolous attractions. Your generation has access to so much more than those who came before you, but the ease with which it can be acquired means you appreciate it less. Modern steam travel by ship or locomotive has made the world inestimably smaller. The marvel of mass production has flooded our lives with a swamp of poor quality versions of hand-crafted products. People have more, but place less value upon it. Telegraph is perhaps the most potent symbol of these new manifestations. It is as if we live in the future, with ideas and thoughts exchanged across the globe with such speed, such freedom. But convenience is proving the enemy of considered thought. With the means of passing messages almost at the speed of speech, there is a growing danger that people will become accustomed to speaking their minds before they have properly composed their thoughts. Telegraph is already doing untold damage to the English language; I fear that, before long, your entire generation will be speaking in abbreviations. Perhaps in a few years, no one will correspond by post at all, and more consideration will be given to the number of letters in the message, than the quality of its content. It would be a mistake to think, in this age of quickening pace and shortening attention spans, that the essence of human nature, or business has changed to any great degree. It has not. Perhaps you think that this family, this Company, is too unwieldy or inflexible, too resistant to change – that you would be better off on your own, independent and adaptable. Is it too much to hope that you are actually driven by ambition, rather than fecklessness? Do you believe that my aging mind is unable to comprehend the revolution that has come upon us, and that is why you yearn to be free of my influence? I have not survived for over a hundred years by being insensible to change. When I was your age, I was almost as fascinated by engimals as you are now. I recognized how the mystery of their creation inspired so many around me to great reaches of science, invention and exploration. But all of these endeavours required finance, and it was there that my interests lay. Given the pampered life you have led, you fail to realize the importance of money, and that, if you are to succeed, any enterprise you undertake must provide you with a return. Either that, or it behoves you to find another profession more deserving of your attentions, and consign this ludicrous pursuit to whatever leisure time you choose to devote to it. It is in matters of finance where so many in the engimal trade fail. It is a business thronged with the hopeful and naïve. Capturing these wild machines is not enough; you must find ways of making money out of them. But it is more often the case, that more canny minds will find ways of making money out of fresh young things like you, once you have put in all the time, and taken all the risks. They await their prey in the deep waters of the market, where the inexperienced find themselves unable to navigate without assistance. They allow your kind to sail for a while, before feasting on you and discarding your remains. Mankind may never fully understand engimals, but it is possible to master them, tame them and turn them to our purposes, as you hope to do – as this family has done for generations. And though you may think us unsuited to all the new ways that have emerged, I can assure you that this ship may to be slow to turn, but will sail steady again once its course is set. So flee from this house if you must – I wash my hands of you. But the time will come when you regain some semblance of reason and you will remember where you belong. When this happens, I trust you will be a changed man. Learn what you can of this new world, my son. If your experiences have failed to make you an individual worthy of the Wildenstern name, I will not take kindly to your return. So let the world do with you what it will; my interest in you has come to an end. Over 200 stunning archive photographs, most of which have never been published before, illustrate this mesmerising guide to Victorian London seen through the eyes of Charles Dickens. Setting Dickens against the city that was the backdrop and inspiration for his work, it takes the reader on a memorable and haunting journey, discovering the places and subjects which stimulated his imagination. Here are captivating photographs of famous landmarks such as the Houses of Parliament, Trafalgar Square and Westminster Abbey, alongside coaching inns, the Thames before the Embankment was built, the construction of the Metropolitan Underground Line, the docklands that studded the river and the many villages that make up London today. 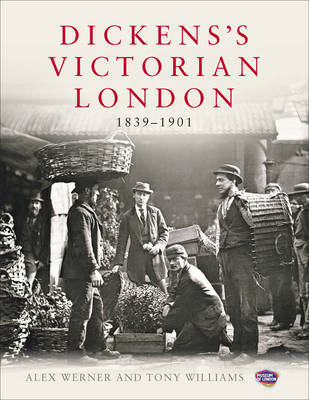 Authoritatively written and beautifully illustrated, this book will appeal to anyone who loves this beguiling city and wants to explore it as it was in Dickens' day. Whilst preparing to start my own Steampunk title, I wanted to get a fuller flavour of the Victorian age, so that I could borrow scenes as well as have a whole host of supporting cast members that would not only stand out but bring the full flavour to the reader. What this book of photographs set around Dickens’s London does, is give you that with bags of information to spare. 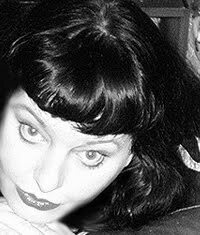 Its lovingly written, authorative and when added to the myriad of photo’s within generates what feels like a voyeurs view to a bygone time. For me, Alex’s title is one that was not only thoroughly enjoyable but one that with the buildings and various trades represented will allow me to bring the whole thing to live and when added with the sheer variety within, will allow many people to find ways to interest their young reader in history. A great piece all in and definitely one I’ll be reading a few more times. This is a declaration to the people of Glasgow. The police are useless and corrupt. We are taking it into our own hands: The Glasgow Marshals For Douglas Brodie, Glasgow's outbreak of murder and mayhem begins simply enough. A typical Saturday night brawl adds a splash of colour to the morning edition of the Gazette. But Brodie's piece receives a hot-blooded reply - the declaration of a new war upon petty crime signed by a group of vigilantes: The Glasgow Marshals. After his own stint at the Front, Brodie counts himself lucky to be back in his home town, paying his way as the local crime reporter. And although the frustrated, demobbed men of Glasgow are taking an eye for an eye, Brodie has some sympathy for their cause. So when a man is murdered, suspicion automatically falls on the Marshals, and the police are quick to agree. But for Brodie, this crime is all wrong. The Marshals stand for justice, not murder. Amid the heated clash of populace and police, a calculated killing has been ignored. Enlisting the help of advocate Samantha Campbell, Brodie begins to investigate the death himself, finding that of course the old saying always holds true: still waters do run deep. 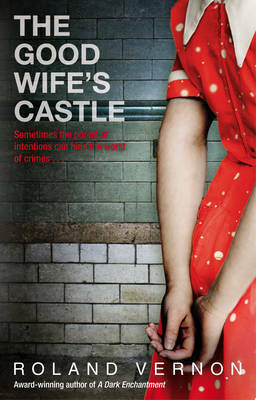 I love a good crime story and for me some of the grittiest have north of the border as its setting. 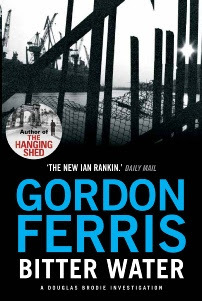 What Gordon does well in this book is bring together realistic characters (both in the lead and as supporting) who add a real flavour to the story that takes you back to a believable time. Add to this real gore and people who won’t stint to do what they have to which when backed with great prose alongside a solid overall arc, it makes for a book that will stay with you for quite some time. The only other thing I’ll say about this book is that it’s the second in a series and if you haven’t had chance to read the first, don’t worry, you can pick this up and still get to enjoy it. Magical. My career has been a constantly evolving process; I’ve been fortunate enough to work on a plethora of projects and develop a versatility of styles and skills. Regardless, I’ve found myself intensely drawn to science fiction as a complex and inspirational genre to explore through painting. As a kid I was totally immersed in comics. My siblings and I bought our own each week, and of all themes and styles. We read both French and American comics, both cartoons and realism. Immediately I had a preference for science fiction, picking stories involving monsters and spaceships. At around 10 years old, I began to read more and my drawing skills improved, I noticed that there were particular artists I liked better. I began copying everything I liked in my own comics and drawings. When I started in school, I still was adamant about being a comic book artist. It was the only thing that made sense to me; I hadn’t been made aware of all the possibilities of what an artist with a penchant for science fiction could do. During school, I took a small animation class as an elective and while I enjoyed it, I didn’t think much further than it being another useful skill. When I finished school, I realized I wasn’t ready to go into a career and discovered a friend of mine was going to animation school. I was intrigued; animation had a similar feel to comics, so I applied, got accepted and began to learn this new skill. When I got hired to go to Japan and work on Inspector Gadget, my life changed completely. It was only supposed to be for one month, but one month turned into three and then into a full time job. It made me realize that maybe animation was a better career path, and that I was meant to do so much more than comic books with my art. I attribute my time working in animation to my versatility later in my career. Being able to easily shift style and be comfortable drawing cartoon and realistic allowed me to have opportunities on a variety of projects. For many years I was primarily drawing in pencil or ink, and my color works were primarily done in markers. When I moved out of animation I had not truly developed a painting style that I could call my own. 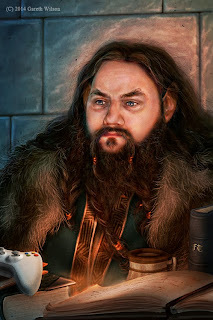 Adobe Photoshop changed all that; it allowed me to create a painterly style that was unique to me and that I could apply to a wide variety of projects. I got to use this style in two very different types of projects: movies and book covers. The steps involved in creating art for movies are a very scripted and detailed with multiple phases. You are hired because the director feels that your style and vision would work well with theirs. It’s a collaborative process that will define the look and feel of the movie or give life to important elements of the movie such as characters, creatures or vehicles. The process can become very granular and you can find yourself involved in many of the visual details necessary for the film. Book covers are very different. The goal of the cover piece is to sell the story with a single image. It is much like advertising; you want people to grab that particular book off the shelf at the store. In film, a production designer or a director would have a vision and very specific ideas as to the look of the movie but in the book cover industry art directors are often very flexible. Working on book covers becomes a much more personal process because you are not constrained by the details as much as with movies. It is a very rewarding experience which allows the freedom to explore and express who you are as an artist. I believe that the style I’ve created and adapted over many years lends itself well to both the science fiction and fantasy genres. Typically my work involves creating very technical objects like spaceships or futuristic architectural landscapes, which requires a precise look and design. I use an erasing technique rather than an additive one to produce dynamic movement with the hard line of the Photoshop eraser tool. It is similar to the scratching technique in traditional painting, but applied to a digital medium. 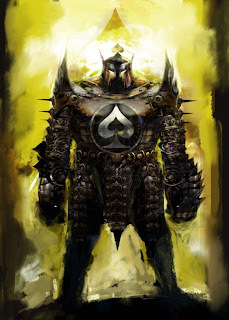 I also use a more organic and painterly approach using Painter when the subject of the story is more whimsical. Depending on the story or my desire for artistic exploration I would use a more graphic approach or a more painterly one and sometimes I would combine both. While I enjoy creating a multitude of different pieces, I’ve continued my childhood obsession for science fiction and fantasy because of the visual diversity you can create. Science fiction or fantasy has the fascinating ability to allow you to create something more than just a piece of art. Rather, you are conceptualizing a world. You get to be more than an artist; you become a creator, an inventor, and a storyteller. It’s not just about monsters or spaceships; it’s about putting a vision on paper. With my art I’m able to convey a story and a world where anything is possible. I think that people continue to love science fiction or fantasy as a form of entertainment because it is an escape from reality, albeit an intellectually challenging one. It offers a dream, but it also asks serious questions about what is possible, creating potential scenarios, and offering new possibilities. It lets you be somewhere else, to be someone else. You are given an opportunity to let your imagination wander in a way that real life does not. I am constantly grateful to be able to provide that opportunity to people by way of art and entertainment, and it challenges me to keep my work fresh and invigorating. "Velocity" is a stunning new visionary collection from the imagination of acclaimed illustrator Stephan Martiniere. 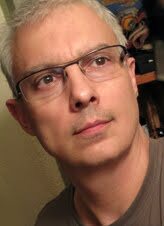 The fantasy and SF artist has worked for numerous film studios, including Disney and Warner Bros., as well as video game companies. This book showcases his sci-fi book cover paintings, commercial and film art, video game designs, and other never before-seen artwork. This is an unmissable title. Whilst authors have always sold their work with words, readers first introduction to a book is often the cover and if it doesn’t grab the reader enough, the author doesn’t really get a chance. That said, for years I’ve admired the way that Stephan’s work has beautifully brought the worlds to light with the wonderfully complex as well as demonstrative amalgamations that really bring the piece to life. The lighting is always impeccable, the art work gripping and to get to read about his inspiration behind the pieces as well as seeing how he brings the whole piece together really adds another dimension alongside appreciation for his skills. People often say that my books read like movies, that they watch the scenes in their heads as they turn the pages. I think this visual immediacy, this accessibility, is an important element of my writing and so it makes sense to me to make trailers for my books. That’s my excuse and I’m sticking to it! The other thing is that I just plain like making films. Working with director Philip Stevens and his crew at Urban Apache Films has been an honour and a privilege. It is fascinating to watch someone of Phil’s talent translating my words into moving images, and what we’ve both learned is that we share a very similar vision when it comes to re-creating the past and creating a slice of drama. Making the trailer for The Bleeding Land was enormous fun. The crew, actors and re-enactors from Fairfax Battalia of the English Civil War Society went all out to achieve what is, in my opinion, a captivating, atmospheric and superbly well-made book trailer. 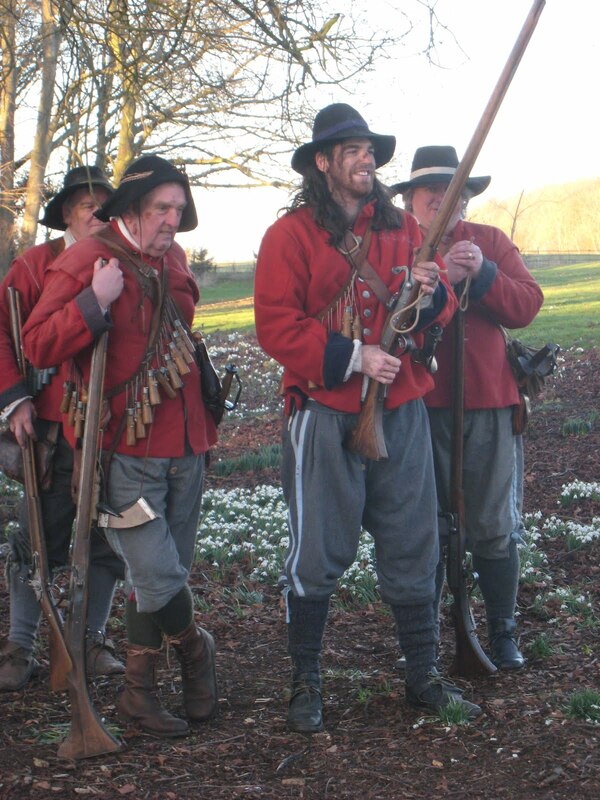 Getting to fire a matchlock musket was not bad either! If I had a pound for every time a reader has asked when my books are going to be made into movies, I’d have enough money to call up Phil and Urban Apache and make it happen. To see Gile's finished Trailer go Here with us reviewing the book on the 27th April. There's something rotten in the city of London. Women are disappearing - young and old, rich and poor, from all walks of society. The only thing they have in common is their belief that women also deserve the vote. 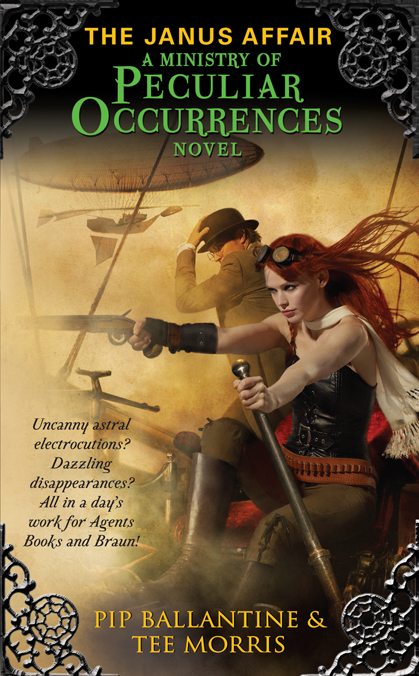 It's up to the Ministry of Peculiar Occurences to find out why these women are vanishing, but agents Books and Braun have their own challenges. There's a turncoat with nefarious plans within the Ministry itself, and the reappearance of an old flame means their growing friendship is threatened. 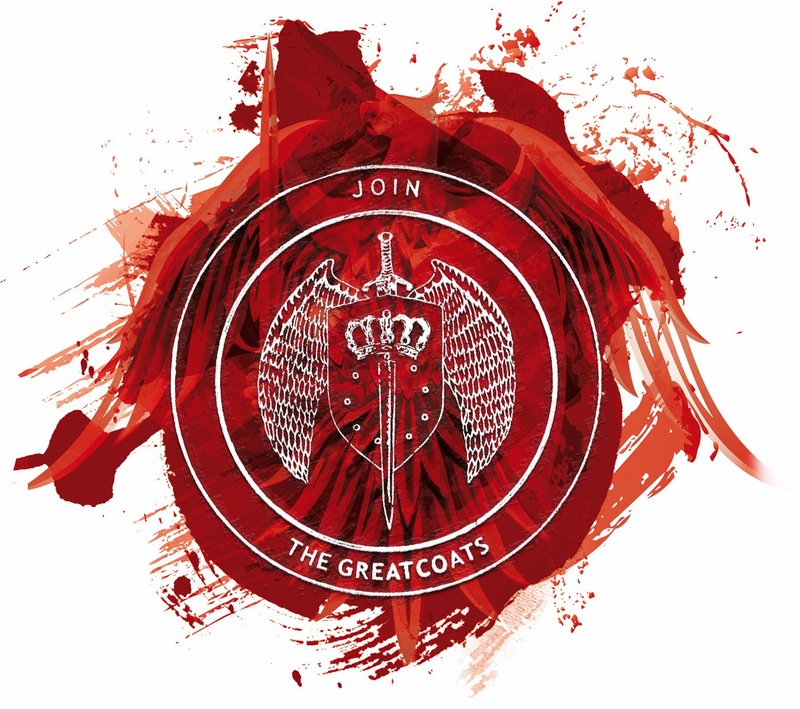 To say nothing of the queen of the underworld, tassassins-attacking-on-ornithopters, and a conspiracy that reaches to the heights of London Society. Steampunk is a genre that is not only fascinating but also one that has the possibilities of a world that could have been. It’s quirky, the machinations truly inventive and when you add characters that jump onto the page with larger than life attributes, it makes for a setting that can’t help but thrill. 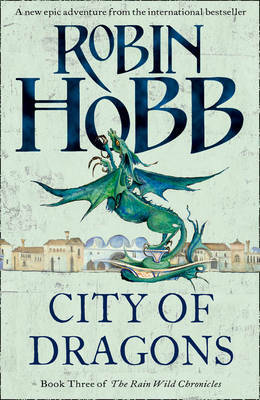 Whilst many seek to create the worlds on their own Tee Morris and Pip Ballantine bring together an amalgamation of heroism, humour and also throw into the mix some cracking twists with wicked schemes as the principle characters seek to save the misfortunate of London from those whom are trusted about all others. Add to this cracking prose, top notch dialogue and the stiff upper lip and all in it’s a title that really generated an adventure that Quartermaine himself would be envious of.